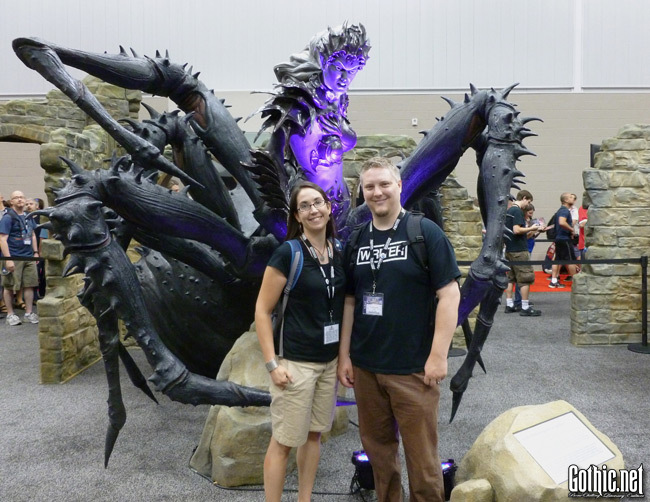 I did not make it to Gen Con, but fortunately Ed Grabianowski from Gothic.net did. There is a full deconstruction of the current crop of zombie-themed games. If you like zombies (as if there were any possibility you don’t like zombies) and gaming (as if there were any possibility you don’t like gaming), you just might find some interesting new suggestions here. He also notes that, in the horror games department, zombies seem to be outpacing Cthulu in new releases. The old ones may need to step it up a notch. 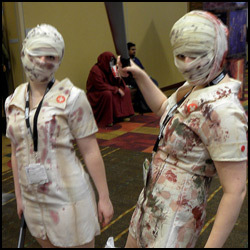 The Gothic.net Gen Con coverage comes complete with a cool horror-themed photo gallery if you like pictures of fannish fun (as if there were any possibility you don’t like pics). Creating Zombies – Now With Less Biting!